Trump pardons former Sheriff Joe Arpaio Solar Eclipse Predictions by Dr. Turi – Dr. Turi M.D.U.S. A disaster for humanity, while those who own the golden truth are ridiculed, cast aside and sought as crazy! God Have Mercy on your children! First and foremost remember, my cosmic work is NOT political in any way, shape or form. Once more; my work is spiritual in nature and designed to further humanity’s cosmic consciousness by exposing God’s cosmic divinity while warning you about the reptilius agenda! I could care less if you are a supporter (or not) of President Trump or Sheriff Joe Arpaio and, while I left my natal France in 1972, I made America my home and still, at 67 I can not vote! Politics is like religion, it’s dangerous and a mass manipulation mostly designed to favor the privileged selects who were born into wealth and power. My cosmic work is not set out to stimulate voters in any direction but above, in the stars where God resides! Incidentally, my work can only make sense to our students and those who took the time to master the cosmic code jurisdictions and became cosmic conscious. Letting you know, for example that both; President Trump and Joe Arpaio share the same Gemini Sun sign will serve no real purpose to those who do not speak nor understand the spiritual values of our solar system. Unless you take the time to read all about the UCI effects in (Who is Sheriff Joe Arpaio) and (Donald Trump President?) the reader can only use his/her five rational limited human senses, to try to understand the idiosyncrasies and similar character of both men. While I emphasize only the negative aspect of the dragon’s tail , remember there is a much good on its head. Though it seems people react more to negativity due to the reptilius’ disastrous effects on the human mind. Thus thanks to the last August Solar eclipse Sheriff Joe Apaio 7th house (public standing) received President Trump Gemini Sun and Dragon’s Head (positive) on his first house (the self) offering ” pardon, protection and fame” to the controversial Sheriff. This if you were a VIP this is what you would have read for Gemini on August 1st 2017. Cosmic Coders only – Gemini forecast – Good news involving siblings, the law, foreigners and foreign lands, take a trip, master a language or a study on photography. The next full Moon right on a SOS to the world deadly window (below) promises to be very significant for foreign affairs, be ready of the Solar eclipse effect! And with so much clarity offered in our few forecasts for each sign of the Zodiac every months, thousands of gullible people are still flocking to Facebook’s well designed astrological and tarot pages offering NOTHING but entertainment! I am using our President’s Gemini forecast (and Joe Arpaio) making international news, yet only a few smart and curious people will join the Cosmic Code today! In reality, the majority of people are indoctrinated by both the science matrix (atheists) and/or victimized by the religious matrix (pious god fearing souls.) Thus, reading my books is not something their natal rational or Neptunian karmic UCI is naturally driven to do. Pat Hill The bible says to beware of false prophets. I rebuke you in the,name of Jesus Christ my Lord and Savior. But this will never happen because it is undeniable that I can read God’s cosmic design and offer accurate earthquake predictions. Monopolizing infected corporations can only survive off your fears. Thus muting and ridiculing us is a must imposed by the reptilius agenda. Indeed those “young, un-evolved souls” have all been brain washed by their first “gullible” teachers, who were themselves; also indoctrinated by an infected system. With this in mind, going full speed again the status quo and exposing NASA, religions, the secret services for what they are has not paid off for us. Or powerful, supremely wealthy and organized “deceptive abusive corporations which have made us a target for a universal – technological, demonic constraining conspiracy. We’ve been muted from “supporting friends” like the C2C syndicated radio show, to a myriad of others. But be sure the idiots, the envious infected critical, rational “young souls” will never give me credit for such rare wisdom only a real prophet owns. I am not sure how more descriptive to be, to get your attention readers. And while my latest article got lots of attention on BIN, only two people shared my work. Talk about giving pearls to swine! incidentally, THIS POST HAS ALSO BEEN REMOVED once I got to second place, with 5831 hits and never was actually number one! I emailed the president twice, asking for some explanations as to why my post was removed… I am awaiting his response! Meantime, the conspiracy against my predictions reaching you is real and it seems BIN may have finally joined the reptilius infected movement against me. Thus once the management read what transpired, I may be fired from BIN too. Maybe a religious or skeptic envious moderator acted on his own? I will let you know in time! This is why, while you can, join the cosmic code … It’s free. Get my work in your mailbox and then later on, you may decide to become a cosmic coder VIP and learn all about the cosmic code secrets! If you are a supporter, do not wait because the reptilius are working overtime to destroy us and maintain fear and ignorance on earth! Yet, obviously many readers simply can’t or refuse to assimilate and recognize a rare wisdom in my predictive gift and warnings as real. I said it before and will say it again, it seems earth residents are not smart, nor curious enough to really make a good use of a cosmic gift that really feels like a curse most the time. Will the FBI pay attention to my warnings? Do not assume yet. Make notes instead and be patient, because if nothing transpires during those deadly/shocking cosmic winds, I will stop offering my predictions to the public! READ AGAIN! “You must pay close attention to my next TWO SOS to the world deadly windows dates. The first one is for August 27th where I see another really bad natural disaster or / and a bad terrorist act taking place. Harvey’s rain ‘beyond anything experienced,’ Nature man’s religion bloody folly reign weather service says – 7 climbers fall to their deaths in the Alps Death news? The reptilius are taking over the body, mind and soul of all our leaders… Sad enough 99.99% of humanity is not able to “pick up” on Biden’s subconscious used words! Learn more about the reptilius and join the fight against those nefarious cosmic entities. 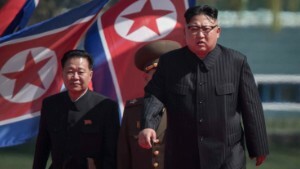 North Korea launches missiles days after US praised restraint Wake up call? 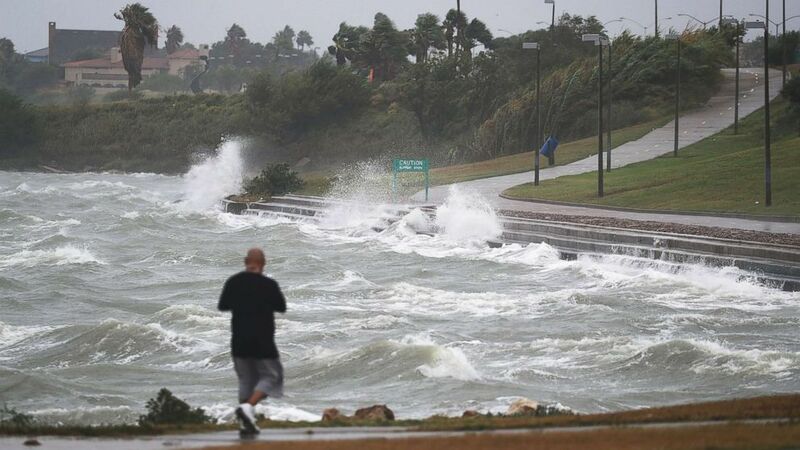 Texans get first look at damage left behind by the most powerful hurricane to hit US in a decade – Nature and Man Made Wake up Call. Good news involving siblings, the law, foreigners and foreign lands, take a trip, master a language or a study on photography. The next full Moon right on a SOS to the world deadly window (below) promises to be very significant for foreign affairs, be ready of the Solar eclipse effect! Japan / Asia / Italy / France / North – South-North Korea / Cosmic News / NASA / Space News / Nukes / Weird news / Freak / Space / Rocket / Drone / Surprises / Explosions / Shocking / Stunning / Astounding / Baffling /Incredible / Lightning / Unusual / Humanitarianism / Children / Unrest / Discovery / Science / Earthquakes (always above 6.0) – Volcanoes / Tornadoes / Airports / Aeronautics / Technology / Electricity /Television / UFO’s /Cosmic phenomenons. Psychic reading by Terania $150 by phone or taped only – Same as Full Life Reading. Andreas Schäfer – Well, the eclipse is over, we had no strong earthquake in the areas listed here, thus no prediction came true. Louis Turi you prediction came too late and I recall your predictions for the eclipse being an M6+ for Japan and the Ring of Fire which did not came true. Regarding the earthquake in Italy. The magnitude was actually common for the area, but the impact was unfortunate, a combination of bad building stock and geologic amplification, however in regards of earthquake prediction a M4 in that region is negligible. Our blind test was successful that not a single relevant prediction came true and that the eclipse did not trigger any major earthquake beyond the average daily activity (Italy was also out of the eclipse affected area). Andreas Schäfer You are missing the forest for the tree Andreas! Be more objective… The test has proven to be irrefutable if you take the time to read ALL the predictions pertaining to the quatrain and key words used and all the collected “shocking” news. This include the 6.4 magnitude earthquake near Levuka, Eastern, Fiji August 18 2017 7:00 PM) Note I gave the exact date of August 20th a months ago which falls in the 24 hours period given (time zone)! The effects of an eclipse last weeks not a single day! Now check my next windows for terrorism August 27th my work is universal and do not stop at natural disasters! . The next window for large quakes is for September 3rd. You need to READ all the article content to grasp my windows methodology. Talk again after those date OK? Thanks for keeping the talk going, you need more time, be patient, you will get it! 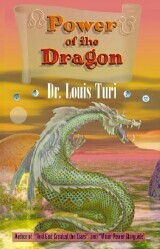 Dr. Turi is a proficient author and a captivating speaker, his profound Universal Wisdom astonishes everyone. He was recognized in the 2003 Marquis “Who’s Who in America.” Dr. Turi is the personal counselor of many celebrities, Ivana Trump, Peter Fonda, Gary Busey, Denis Haysbert, John Gray and many others. Dr. Turi is a favorite guest of George Noory on Coast-To-Coast AM radio and the BBC in London and appeared in numerous television programs worldwide.He speaks of the cosmic face and celestial tools of the creator and warn the world with undeniable well documented undeniable predictions. http://www.youtube.com/watch?v=4BX3TzPUt08 Clinical Hypnotherapist – Astropsychologist focused on providing individual and couples counseling services. Specializing in public speaking, teaching, metaphysics, natural healing, stress management, women’ issues and family mediation services. Interested in speaking engagements, radio, television, events and media outlets, academic work, advising corporations, the police force, colleges, universities and general public on mental health issues and spirituality outside of conventional beliefs and accepted disciplines.